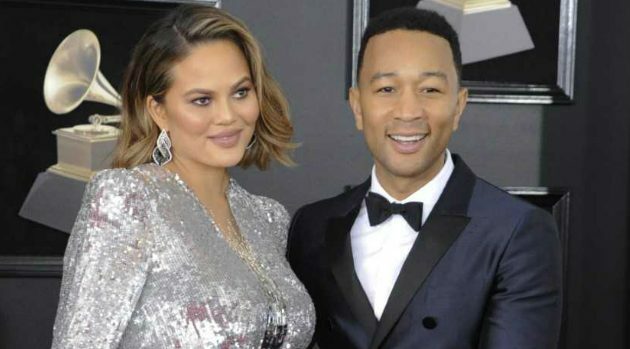 Jeff Neira/CBSJohn Legend‘s swimsuit model wife, Chrissy Teigen, has finally announced the gender of their second child. Sunday on Instagram, Teigen wrote, “mama and her baby boy,” next to a picture of her on the Grammys red carpet, draped in a shimmering silver gown while touching her belly. In November, Teigen and Legend told fans via Instagram they were expecting another baby. Teigen gave birth to their daughter, Luna Simone Stephens, in April 2016, after undergoing infertility treatments. In other news, People reported Sunday that John and Chrissy have donated a whopping $200,000 to the Time’s Up Legal Defense Fund. The charitable donation was made in honor of the more than 150 women who confronted former USA Olympic gymnastics team doctor Larry Nassar in a Michigan courtroom Tuesday. As previously reported, Nassar was sentenced Wednesday to 40 to 175 years in prison for criminal sexual misconduct. In January, Teigen offered to pay a potential $100,000 fine for one of Nassar’s victims’, Olympic gold-medalist McKayla Maroney, if Maroney decided to speak at Nassar’s sentencing. Maroney signed a non-disclosure agreement with USA Gymnastics in 2016 as part of a $1.25 million settlement with them, which mandated the fine if she spoke out. However, USA Gymnastics revoked the NDA and gave Maroney permission to speak in court.